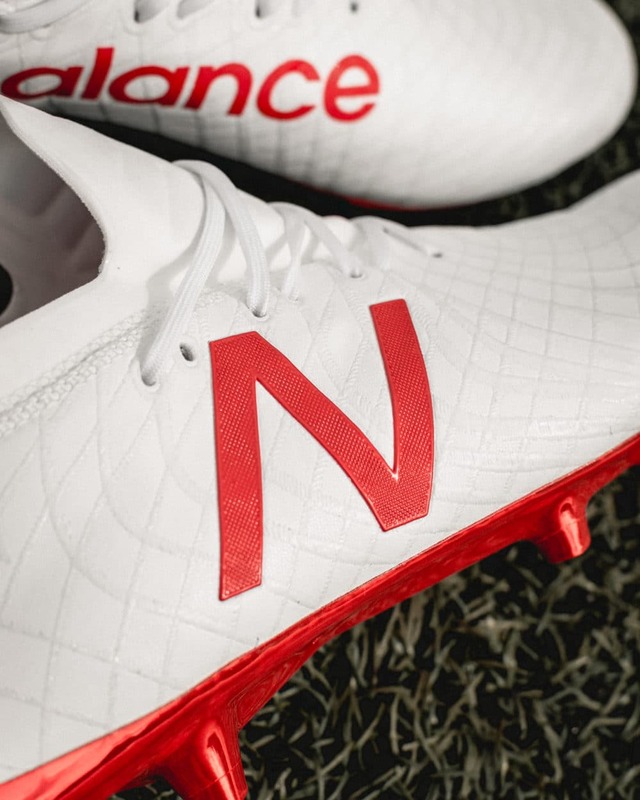 Can the New Balance Tekela Pro rise from the ashes of the Visaro? New Balance is a relative newbie in the football apparel line. 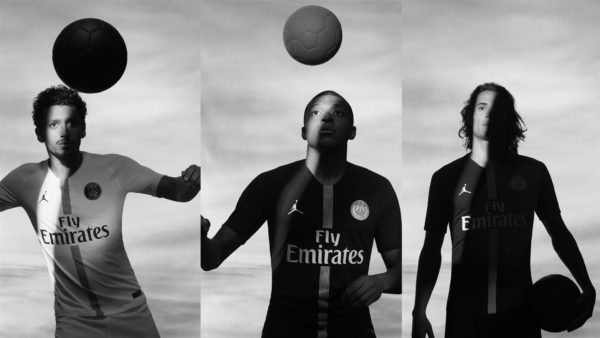 In recent history, they kickstarted their football adventure in 2013 under the Warrior Brand with boots such as the Skreamer (their interpretation of an adidas Predator), before a full rebrand to “New Balance Football” in 2015 with the launch of the New Balance Visaro and Furon. While the Furon left a lot to be desired, the Visaro was one of the breakout stars of 2015. Designed to be a “control boot”, it had a soft mesh-like upper that delivered a barefoot feel along with depressions on the instep to act as a cushioning element. It was also equipped with a Fresh Foam insole, the best cushioning I’ve ever experienced in a boot. Cushioned yet responsive, its everything one would have expected from the Boost insole in the Predator 18+. 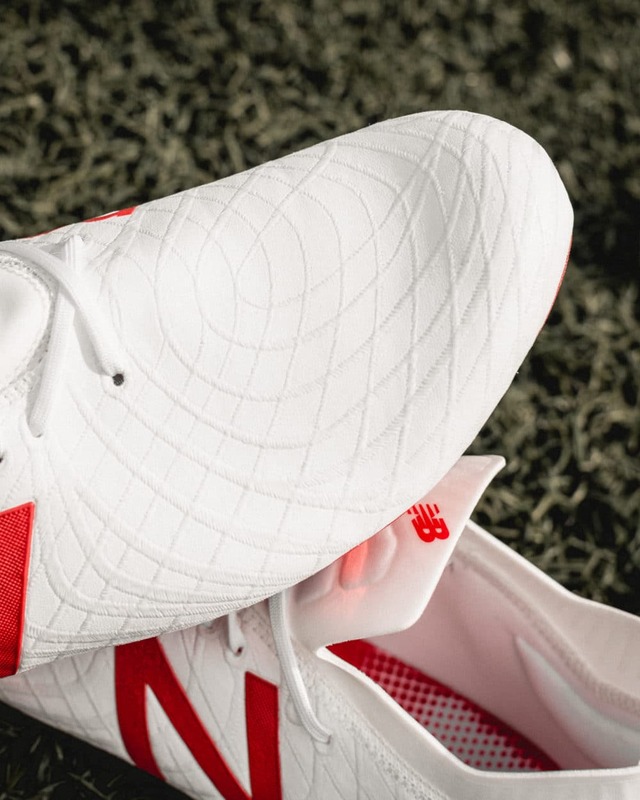 New Balance took a step back with the Visaro 2.0 with a stiff boot that had its Fresh Foam insole removed. Thankfully the release of the New Balance Tekela Pro reboots their control series and sets the brand up for a ‘Fergie Time’ comeback. From the first try, you would notice that the Tekela Pro is exceptionally wide. This is exacerbated by the very shallow lacing system which doesn’t allow you to tighten the forefoot area. Go down half a size if you have slim feet. When initial leaks of the Tekela Pro first surfaced, I was worried about a poor implementation of the mid-cut collar. Thankfully, New Balance went with the Puma Future 2.1 route.The extended neoprene collar creates a secure one-piece upper but cuts just below the ankle bone to maintain maneuverability. Adding to that secure fit are silicon prints around the collar to grip your sock. The Tekela has a really nice silhouette with that tongue and collar. The tongue is also padded to prevent lace bite and take the edge off when shooting through your laces. The heel area uses a smooth neoprene liner that made me feel slightly insecure when I was not using grip socks. Like the adidas Copa 18.1, the Tekela 1.0 is also equipped with 2 cushion pods which was designed to lock your heel down. Unfortunately, it started rubbing uncomfortably against my heel area which caused some discomfort with prolonged use. Overall, the Tekela Pro is an extremely comfortable boot out of the box and I’d even go as far as to rank on par with the Mizuno Morelia 2. A huge 9/10 in the comfort department for me, if not for the cushion pods in the heel. The upper is made of their new NB70 synthetic – material that is supposed to have leather-like qualities that is just 0.7mm thick. It feels soft and flexible and took little to no break-in time. The upper also comes equipped with a thin layer of memory foam for the boot to mould to your foot’s shape over time. The touch on the ball is crisp without being overly barefoot-like, with just enough thickness to dampen the feel. Draped all over the upper is what New Balance are calling their “Kinetic Stitch” technology. While most leather boots employ stitching to prevent overstretching, the Tekela 1.0 puts their own spin on it by covering the upper with a silicon coating to add grip. The Kinetic Stitch also allows the Tekela Pro to have a short lacing system by preventing excessive expansion of the upper. It’s an admirable attempt to bring something new to the game and it works, but the stitching has a propensity to attract dust and dirt, wearing out the grip. The flip side of the shallow lacing system is a generous forefoot that gives you the confidence to manipulate the ball in all ways. I spent the first 10 minutes marveling at the forefoot space, controlling every high ball sent my way Ronaldinho style. It feels absolutely brilliant and is my favourite part of the boot. Shooting and passing felt crisp and natural, with the huge forefoot providing that extra leeway to auto-correct should you hit the ball with the wrong part of your foot. 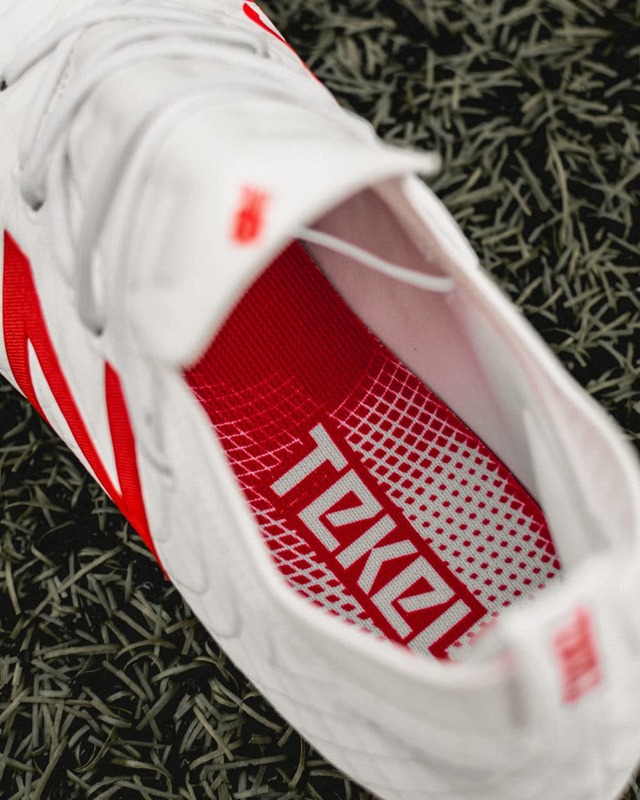 The Tekela Pro’s shallow lacing area doesn’t provide enough lockdown. 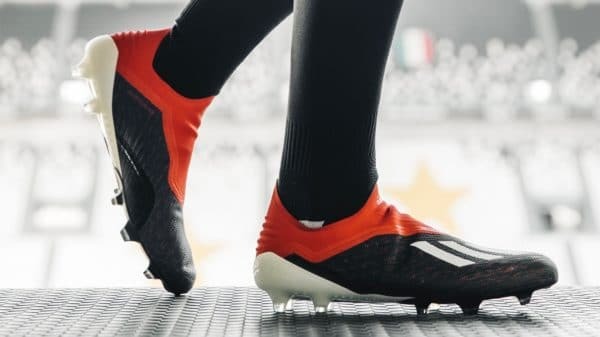 While the Kinetic Stitch adds some grip, it’s not very pronounced, so don’t go expecting adidas Predator Instinct levels of curl when crossing or dribbling. The flat forefoot takes some getting used to when dribbling with the outside of the foot as compared to other boots which have rounder uppers. It is a different sensation, with me arching my foot more than usual to get the flat surface to nudge the ball forward. 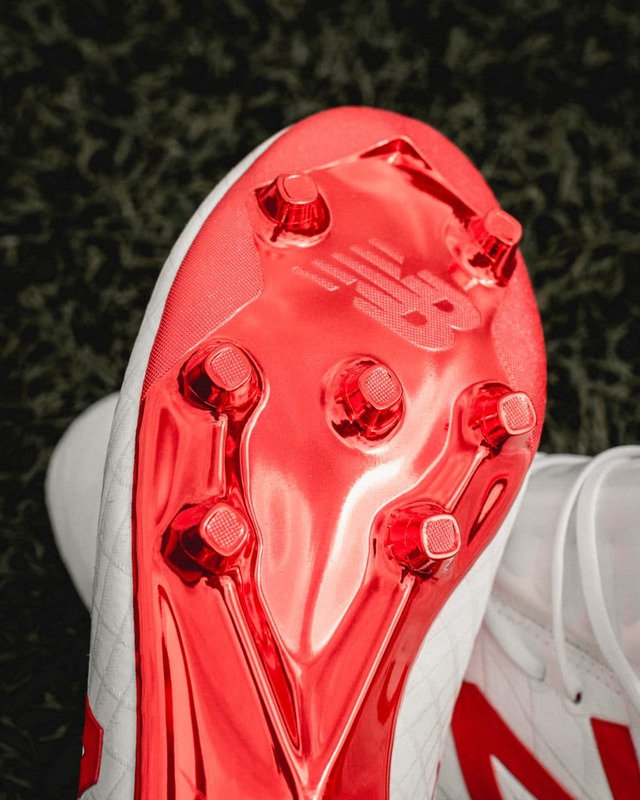 The soleplate isn’t that much different from what you find on the adidas boots out there. It’s a conical 7×4 stud pattern made from TPU and reinforced with nylon in the midfoot. It’s incredibly flexible in the forefoot and feels natural to run in. There’s a toepick stud in the front which, theoretically, gives some extra bite when pushing off for a sprint. In reality though, it really doesn’t do anything beyond cosmetics. Expect a little bit of stud pressure when playing on AG surfaces but it should work perfectly fine on FG surfaces. One of the nicest finishes on a soleplate. Too bad they peel the moment you take it to the pitch. Perhaps the only clear disappointment I had with this boot would be the insole. The ortholite insole provides decent padding and comfort without any grip elements. Unfortunately, it doesn’t match up to the Fresh Foam insole from the Visaro 1 which was head-and-shoulders above every other insole I’ve used. New Balance seem to have drifted away from adapting their running technology for their football boots as the Furon no longer uses their Revlite cushioning which is a huge shame as it was a huge competitive advantage for them. New Balance missed an opportunity to include a cushioned insole taken from their running line. As a boot nerd, I love trying out smaller brands and the innovation that they bring to the table. Sometimes, you get rewarded with a gem like the Visaro 1.0, other times you get blistered with a Furon 1.0. The Tekela Pro is a solid option that is held back by one major make or break issue – sizing. The upper overstretches and the forefoot is so ridiculously wide that if you don’t have wide feet, your feet will be swimming in it. Another factor working against it is price. At AU$280, it is as expensive as the adidas Predator 18.1. For a brand that is still trying to convince players of their quality after the recent failures, a lowered price point might help convince new customers to try the Tekela Pro over the tried and tested brands. New Balance is a decent return to form for the brand. 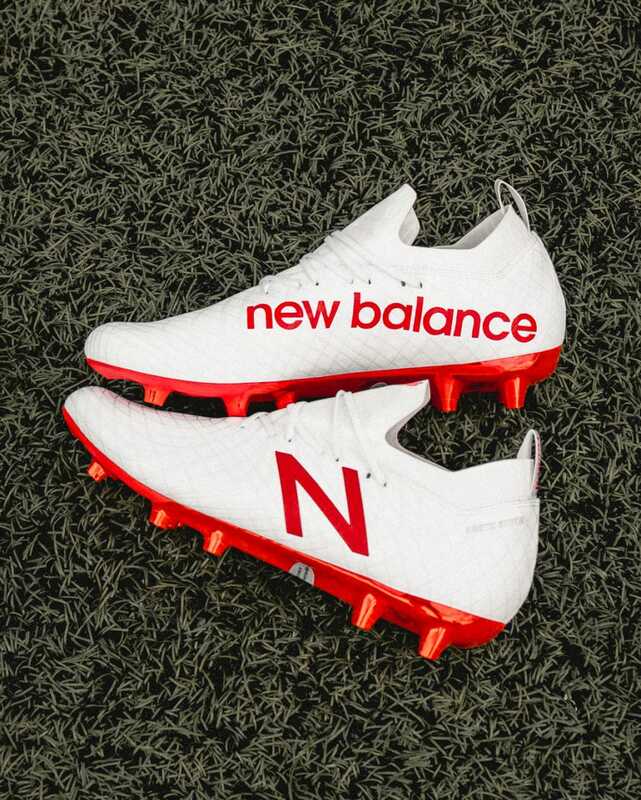 Like a football team that squandered a 1-0 lead, New Balance have made a comeback to level the scoreline with the Tekela 1.0 but it’s not enough to secure a win. The Tekela 1.0 is a solid option that delivers on its promise of a comfortable boot for players who love to control the ball and the game. Iron out those kinks and New Balance may finally have a boot to compete with the big boys out there. Special thanks to the good people of Weston Corp for this review set of the New Balance Tekela Pro. Try them on for size at your local Weston outlets. 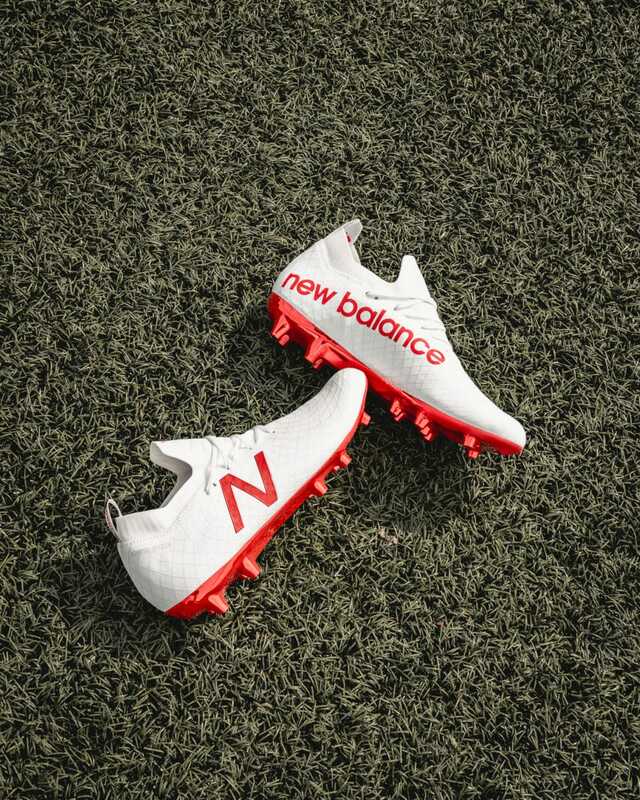 New Balance’s latest innovation is a decent boot for the modern playmaker though it may have been designed more for the wide footed player rather than the average Joe.